Chimerascope on show at the Gibberd Gallery, Harlow, from 17 November 2010 to 29 January 2011 as part of the 'Journey to the Podium' exhibition. Further tour venues to follow. DEC Small World exhibition includes a series of panel-led discussions on technology, its impact and implications for progress and society; the 'Listening to our World' event on Wed 13 Oct. 7.30pm will feature Peter Cusack "expanding on some of the development of the 'Favourite Sounds' work. In particular he will discuss sound and his recording work with examples from all over the world. Damien Robinson and Stuart Bowditch will then respond to Peter's presentation. Both artists have worked with sound in unique ways. We will then open the debate up to all attending." Vibe Cube at TAP The Southend themed version of Vibe Cube opened at TAP, triggering this intriguing review from Jason Pilley and some fantastic photos from Niki Cornish (more on the VibeCube Southend page here). This commission for FirstSite Gallery (collaboration with Stuart Bowditch) documents their '15 Artists, 15 Days' programme, a project that celebrated firstsite’s 15th birthday. 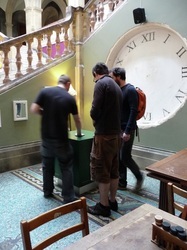 Our 15 minute soundscape Automatic Listening went online May 2010. 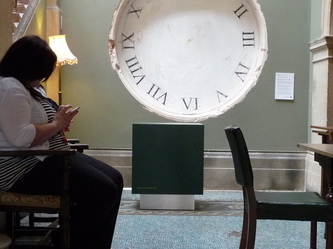 See FirstSite Gallery for more information about the project and the residencies that inspired it. 'Open Space; conversations on place, people and art' Vibe Cube features in the new Essex County Council publication 'Open Space; conversations on place, people and art', featuring essays by artist and curator Jane Watt, and conversations on each of the four Open Space projects. 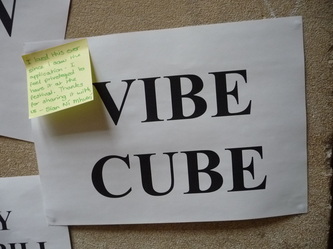 The Vibe Cube conversation is with Martin Astell, archivist at Essex Sound and Video Archive. 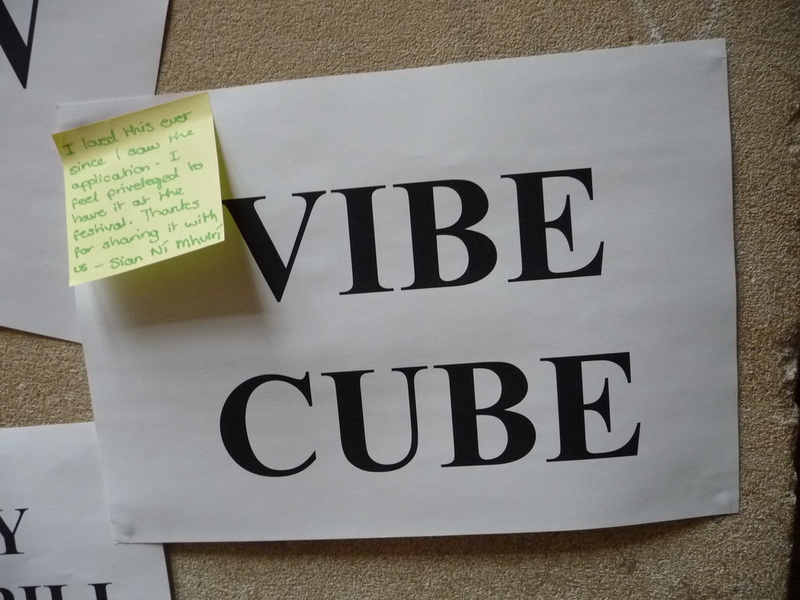 You can download a pdf of the publication from the Vibe Cube page on this site.